iOS devices with iOS 4 or later and Mac computers with OS X 10.8 or later have a built-in framework that supports mobile device management (MDM). MDM lets you securely and wirelessly configure devices, whether they’re owned by the user or your organisation. Device management includes updating device settings, monitoring compliance with organisational policies, and remotely wiping or locking devices. 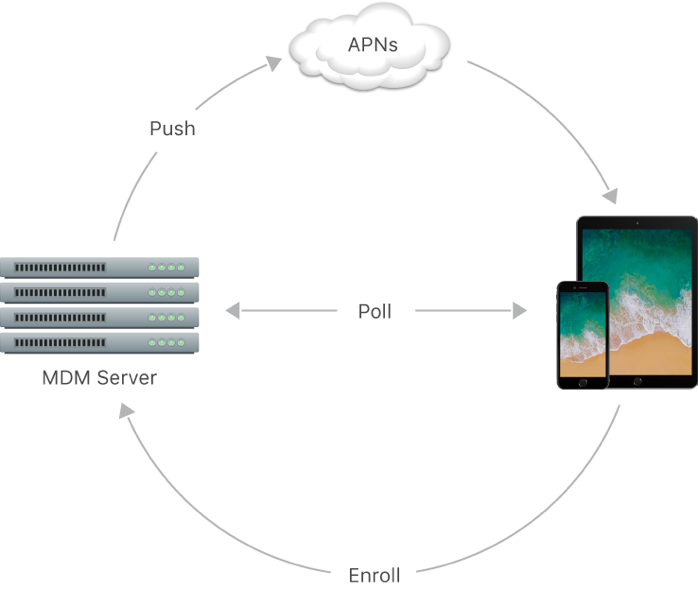 Users can enroll their own devices in MDM; organisation-owned devices can be enrolled in MDM automatically Apple Deployment Programs.